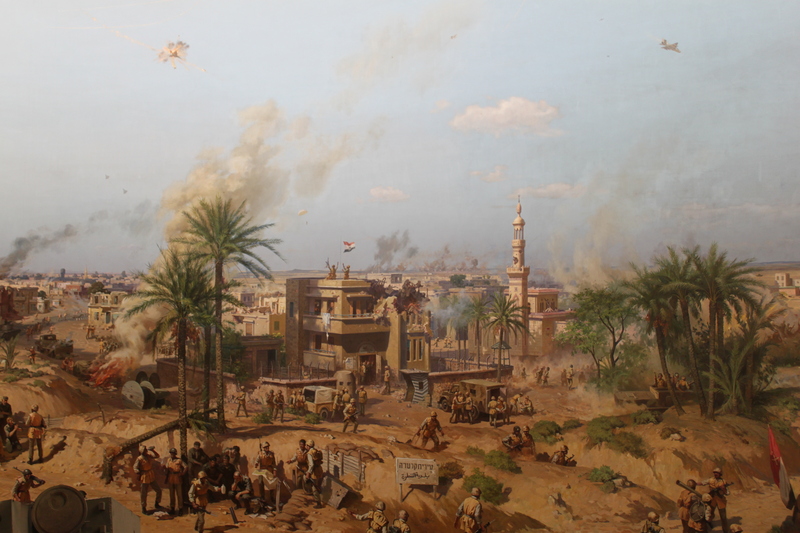 The National Military Museum takes up the former palace of Muhammad Ali, widely seen as the founder of modern Egypt, whose dynasty lasted from 1805 until 1952. The museum was born from a cooperation of kitsch between Egypt and North Korea, who supplied the artists for the epic battle scenes in the style of socialist realism. If you want to enter a surreal, dust-covered space in which Mubarak is still the President, this is it. Here’s my version.